– Building a great team – how to succeed as a group, even if you don’t love each other! – Setting and achieving realistic goals – both as a team and as individuals. – Leading is a privilege not a right! How to become a more effective leader and get the most out of your team. – How do you stay motivated when all you see in front of you are obstacles! – Planning for and expecting success – it doesn’t happen by accident. Liz is highly regarded in the business sector and currently holds number of board positions, such the Australian Sports Commission, the Sydney Olympic Parks Authority and the NSW Institute of Sport. Liz has also previously sat on the boards of the Australian Sports Drug Agency, the Institute of Sport Management and NSW Major Events. 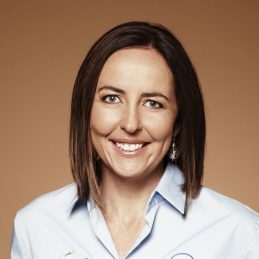 She has been consulted by government about sporting regulations and is often asked by other governing bodies for her expertise in the area of sport in Australia and on a worldwide scale. In 2009, Liz became a Member of the Order of Australia (AM) in the Australia Day Honours for “services to netball and the encouragement of women in sport, and to the community through support for a range of charitable organisations”. Liz is also a highly successful and experienced broadcaster. She appears on television and radio as a presenter as well as a sports commentator and, and can be seen as parrt of the commentary team during the netball season. Liz’s articulate and engaging wit and down to earth manner has also seen her in demand on many entertainment programs on both radio and TV. Liz has also enjoyed broadcasting for ABC Local radio on 702 Sydney and for national shifts.